CHENNAI: Naam Tamilar Katchi chief coordinator Seeman slams actor Rajinikanth over his comment that the ‘system’ is not working fine in Tamil Nadu. 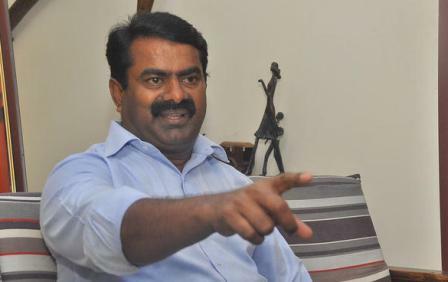 Stating that Tamil Nadu follows the system that the whole of India follows, Seeman asked, “Is there a special system for Tamil Nadu?” Asking Rajini what he had been doing all these days, Naam Tamilar Katchi chief asked if Rajinikanth’s ‘system’ was at fault until now. It’s because of people like Rajinikanth that the ‘system’ in Tamil Nadu has deteriorated, Seeman quipped.